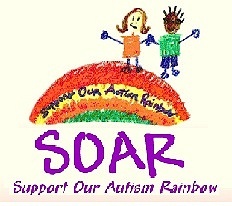 Subject: LongIsland.com - Your Name sent you Event details of "SOAR (Support Our Autism Rainbow)"
SOAR (Support Our Autism Rainbow) Foundation was created in 2004 by a group of parents who wanted their children with Autism to learn from and form friendships with their classmates. Today, it has grown to provide a social development program for children from elementary through high school. As a 501(c)(3) nonprofit organization, SOAR is entirely managed by volunteer parents and funded through donations. 100% of donations go towards funding this unique social developent program and providing specal educaton teacher and trained para professionals. Join us in our annual Gala and Casino Night filled with music, dancing, food, games, and raffles this November 9th starting at 7:00pm at The Royalton on the Greens in Melville, NY. Tickets are $125.00.